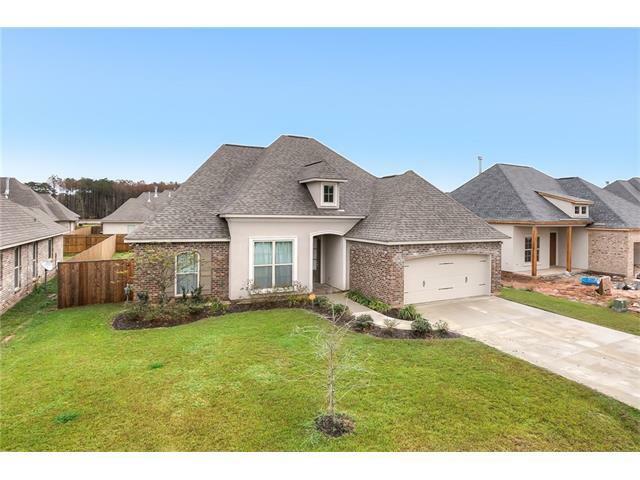 MADISONVILLE...Guste Island..This beautiful home features upgrades galore including: 3 cm granite in kitchen and baths, stainless appliances including gas stove, wood cabinetry, gorgeous tile thru out living areas, upgraded lighting package, Nest thermostat, alarm system with cameras including doorbell camera. Master suite w/ glass shower, hydro tub, custom closet and double vanities. Fenced backyard & covered patio with gas hook-ups. Call today for your private showing. Bounding Streets Guste Island Rd. Listing provided courtesy of Billy M Lingo of Century 21 Gaylaxey Of Mandeville.